I recently had a chance to write for Fit In The Now, a digital Women's Health & Fitness magazine that focuses on empowering women by sharing the truth about fitness and health and being a supportive community so that women can be the best version of themselves. 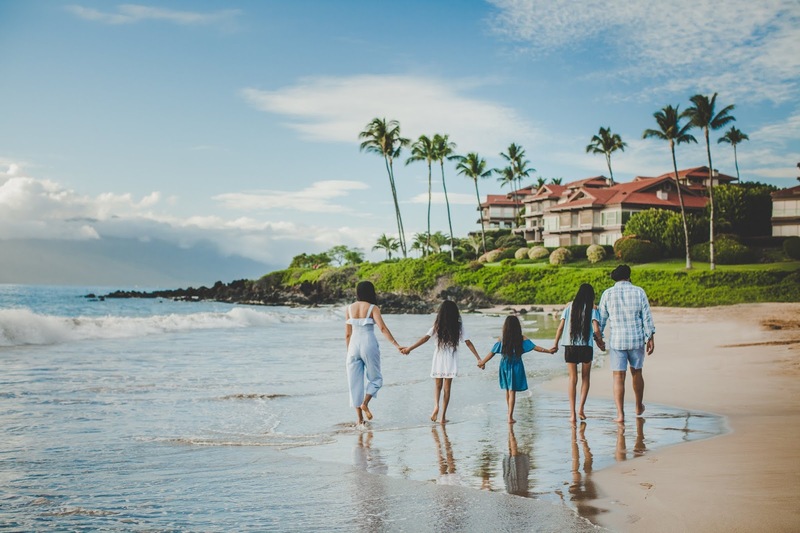 Walks on the beach with your family is so good for your health! We all understand the benefits, and need, for regular exercise and balanced eating to keep ourselves healthy – both mentally and physically. We invest in gym memberships, stock our fridges up with kale and kombucha (and convince ourselves that it tastes great! ), and help keep up Lululemon’s stock by making sure we have the right leggings to do our squats in. But what about travel? Sure, hitting up a gorgeous beach with all you can drink margaritas is a dream winter escape, but travel is actually a key piece in maintaining your good health. Head over to Fit In the Now and read the rest of my article here. 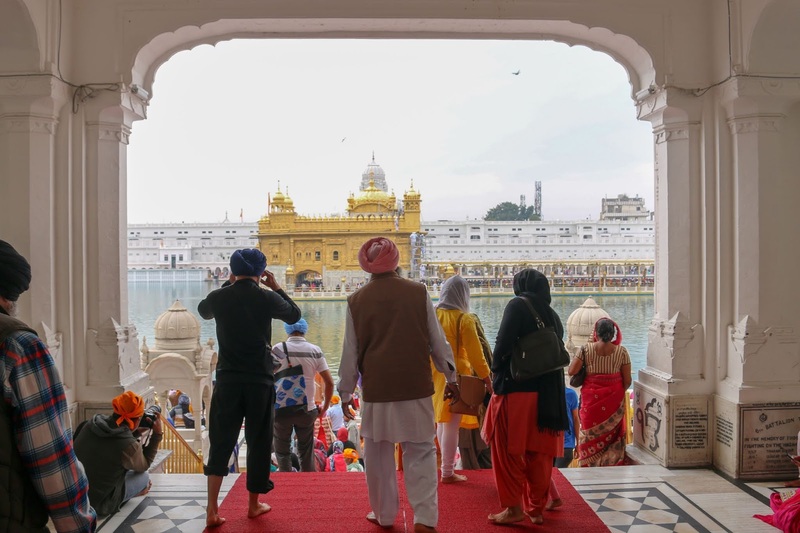 In 2013, Ontario officially recognized April as Sikh Heritage Month which brings communities together to celebrate and recognize Sikh art, heritage and culture. It also marks Vaisakhi which is a celebration of both a renewed beginning and of the creation of the Khalsa - the Sikh identity. Vaisakhi is celebrated today as a reminder for all of us to embody these characteristics to make our world a better place. 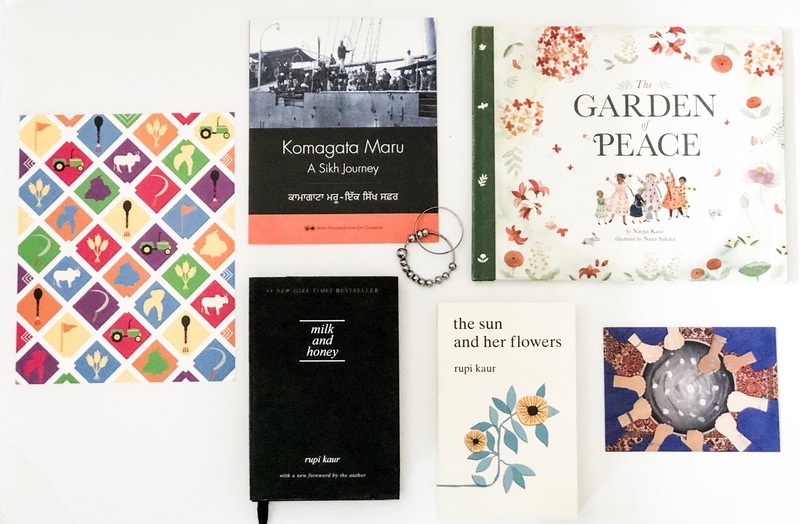 In celebration of Vaisakhi and Sikh Heritage Month, I've gathered some of my favourite books that explore themes in Vaisakhi, Sikh identity and history. 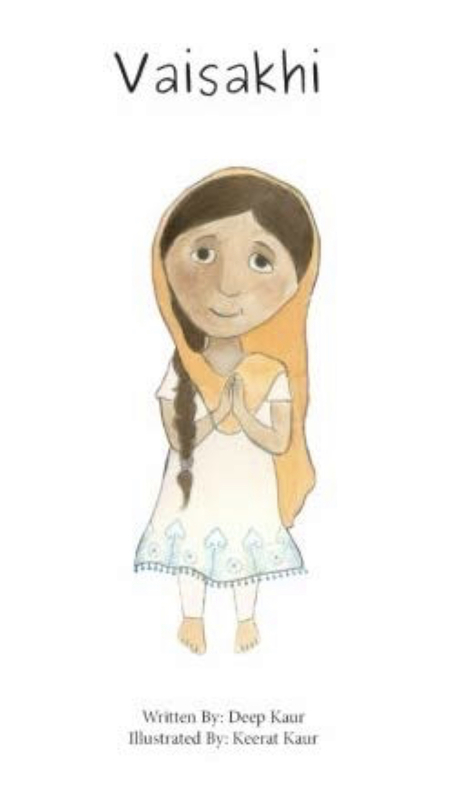 Vaisakhi , written by Deep Kaur & Illustrated by Keerat Kaur, is a colourful, easy to read book that tells the story of Daya Kaur and how her family celebrates Vaisakhi and what it means. A wonderful new addition to our family's collection this year. 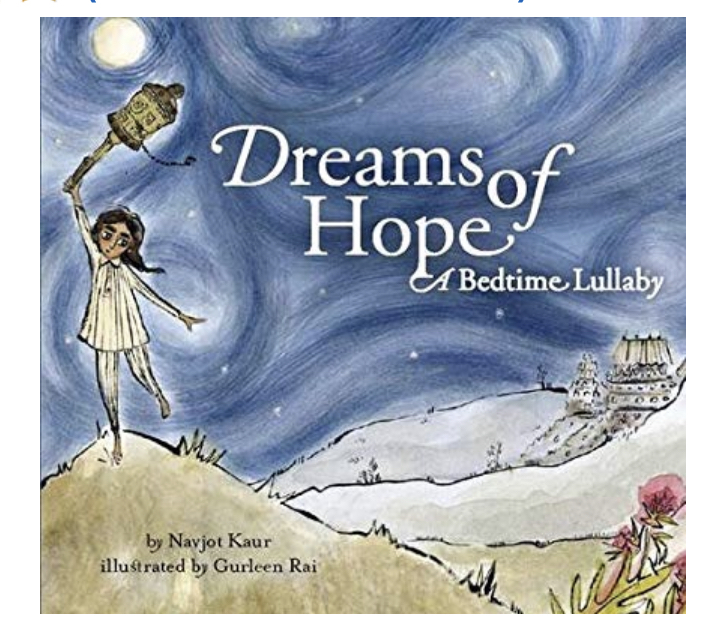 Canadian educator and author, Navjot Kaur has written these beautiful children's books that discuss Sikh Identity in A Lion's Mane, the significance of Vaisakhi as global citizens in The Garden of Peace, and a soothing lullaby told by a Sikh father to his daughter in Dreams of Hope. She has created stories that depict Sikhs in mainstream daily life while masterfully weaving in main principles and tenants of Sikhi within the global community. I can't recommend these books enough for every household, library and school. 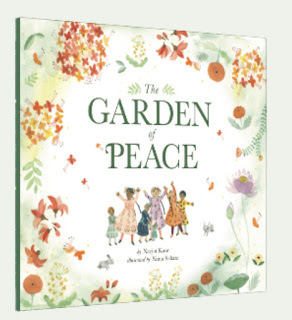 On her website, Saffron Press, she explores issues around the growing need for diversity in literature and well as great resources for teachers and parents to use alongside the books. Order your own copies here . Canadian Rupi Kaur is a #1 New York Times best selling author, with two works of poetry and prose, Milk & Honey and The Sun and Her Flowers. 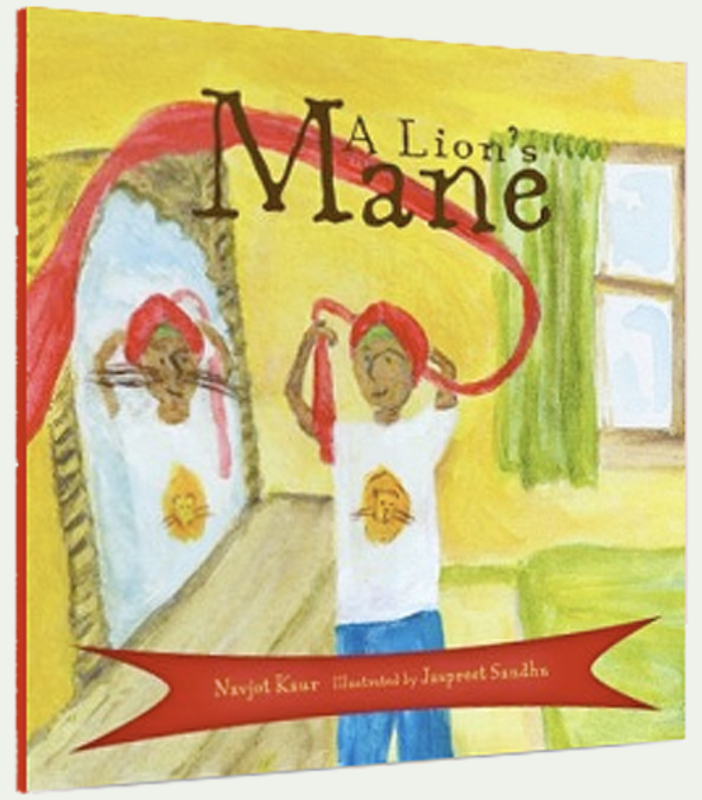 She explores issues and themes of love, loss, trauma, healing and migration. 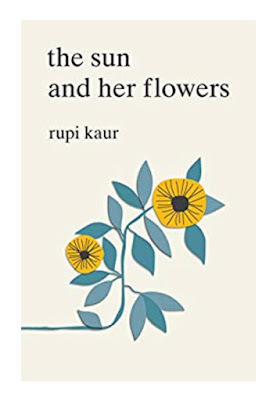 Her poems are written in a style inspired by the Gurmukhi script, to honour her Sikh heritage, with its simplicity and visual equality of text. 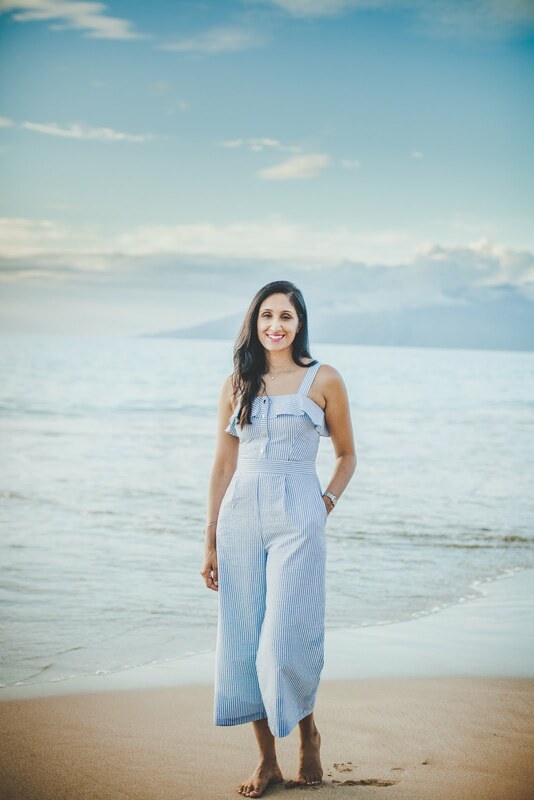 She explores Sikh issues such as the 1984 genocide in her poems entitled "rooh", and in her issues around female body hair in the poem "hair"(pg. 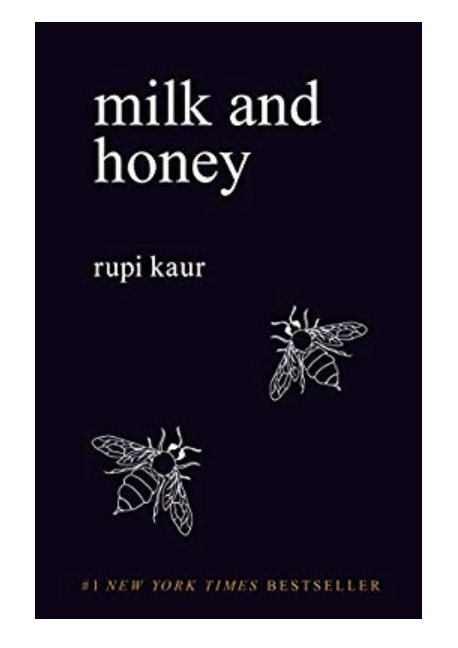 185 in Milk & Honey). 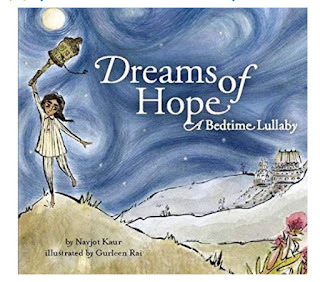 Her book was the first time I saw my own name of "Kaur" reflected back at me on the shelves of a bookstore, and it brings me such pride and happiness to know that my own daughters will continue to see themselves reflected in this space. 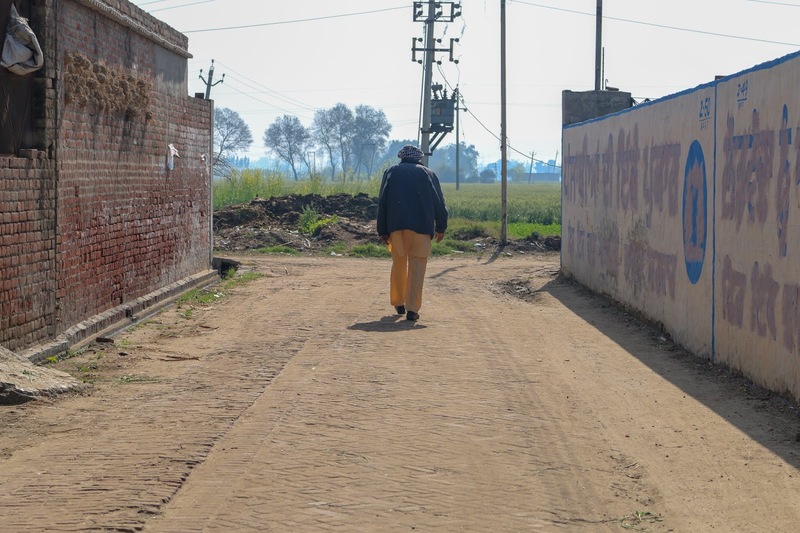 Set against the tumultuous backdrop of a fragmenting Punjab and moving between Canada and India, Can you Hear the Night Bird Call? by Anita Rau Badami charts the interweaving stories of three Indian women, each in search of a resting place amid rapidly changing personal and political landscapes. This book hauntingly begins with the first Sikh Journey to Canada with the Komagata Maru incident, (read more here) and weaves in the the political and personal turmoil during the events that unfolded during the 1984 genocide both in India and in Canada. 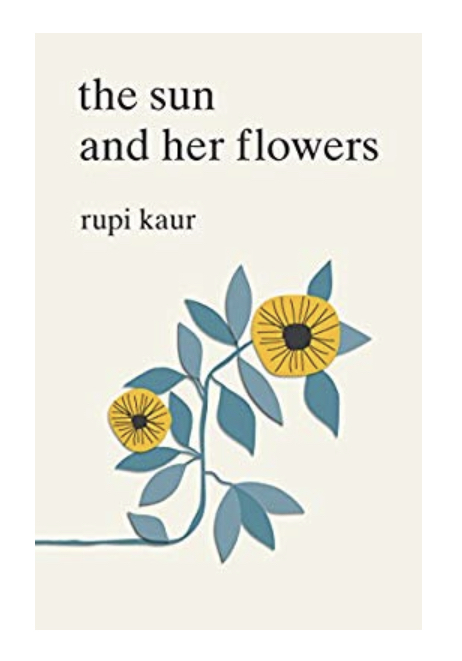 It is one of the very few, published works that explore the events leading up to 1984 and how it affected the lives of both Sikh and Hindu, Canadian and Indian women through Rau Badami's characters. 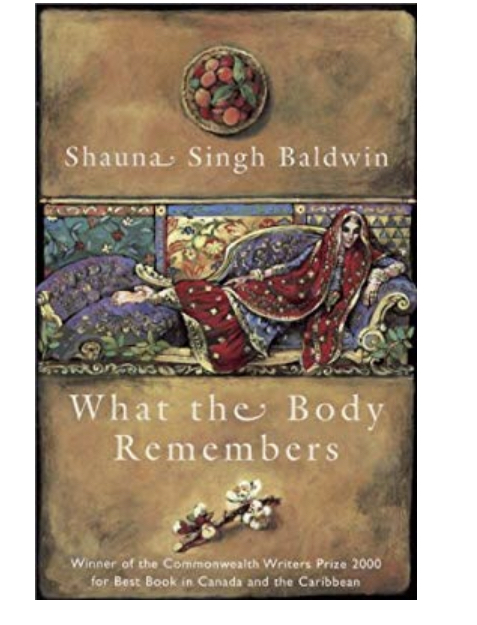 In Shauna Singh Baldwin's What the Body Remembers, the brutal drama of the 1947 Partition of India is told through the lens of two female Sikh characters who find themselves married to the same Sikh landowner. 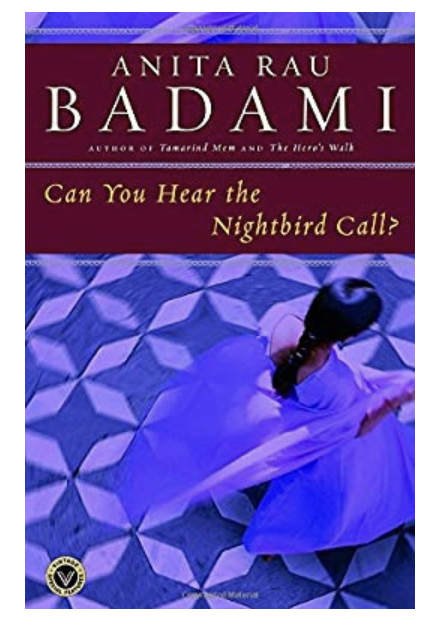 The impact of this significant historical event on Sikhs is beautifully explored through a feminist lens in Baldwin's first novel. What other resources do you use to celebrate and teach Sikhi and Vaisakhi? Share in the comments! Note: I am not a scholar of Sikh traditions, history or practices, and all views expressed here are to the best of my knowledge. Please forgive any mistakes that may have been made. Please email me through my contact page for any further discussions or clarifications to anything stated above. In my evolution as a mom who travels, I've started to make the conscience effort to pack light. Not only do luggage fees add up for a family of 5, but I've learnt that taking the extra time to plan and pack can save us from lugging around all sorts of unnecessary things that never see the light of day (I'm looking at you Barbie and family with your full wardrobe and accessories). So after surviving our 12 day tour of India that consisted of going to 10 different villages, towns and cities, I can confidently say that none of us really need as much as we think we do when travelling (wanting, however, is a different post!) After surviving a 14 hour flight with 3 kids in economy, I've got it down to the basics for what my kids really need to survive (and for me to keep my sanity). But if you are a mom of smaller children, I'd probably pack a mini version of my house just to keep my sanity. Because at the end of the day mama - you do whatever you need to make it work! Card games such as UNO take up little space and offer hours (ok maybe minutes) of entertainment. Devices. Yes. The end. So while my kids most certainly do NOT have their own I-pads, there are enough devices in our house for the kids to be entertained with on long haul flights (or any flight!). Sometimes the have to share an ipad (ugh - the struggle is real kids! ), so we use a headphone splitter like this one. Tip: Make sure the battery is full and that you've downloaded more than the kids could possibly watch! Headphones for each child is a given, so that they can get comfy and start watching a movie as soon as they settle on board. Shop here and these are super cute here. Have you ever wanted to visit India? To be honest, it wasn't high on my list to travel to as a parent. But then I heard the stories....the stories of gorgeous Goan beaches stretching along the Arabian sea, of the emerald backwaters of Kerala, the serene boat houses on Dal Lake nestled in the Kashmir valley with the mountains peaking behind, of the ancient hidden Buddhist caves elaborately carved out in a hillside. India suddenly seemed like more of a real travel destination rather than just a family trip back home. So we did it! We went to to India with the kids and LOVED IT. And we'll go back and here's why I think you should think about it too! Family Friendly - Indian culture is based on family, and children are a central part of that. No one blinks an eye when kids are being kids, they are allowed to just be kids, at least in most places. 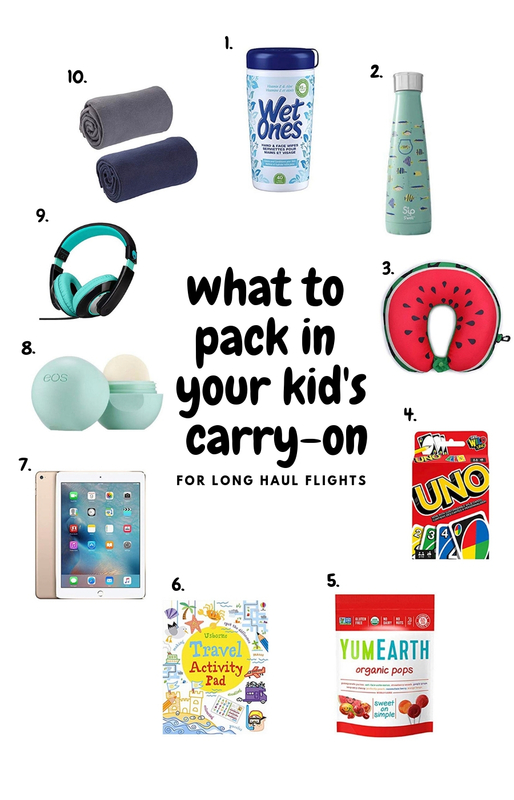 This makes travelling with kids so much more relaxing(ish). Diversity - India has so much diversity: language, religion, traditions, geography. It has something for everyone. With 23 official languages (with hundreds of different dialects), history dating from the stone ages, six major religions (Hinduism, Islam, Sikhi, Christianity, Buddhism, Jainism), mountains, beaches, bustling cities, farms, and the dessert (and even more), there really is something for every traveller. Tourism Infrastructure - India is a huge country both by size and population and is the 6th largest economy in the world with tourism being a huge source for that growing economy. Opulent hotels( some are converted palaces! Like the Taj Lake Palace), convenient transportation options, local tour companies and guides and 37 World Heritage sites, discovering India has never been easier. Educational: Travelling with kids is one of the best educational experiences to give them, and a trip to India is most definitely one that educates the whole family. It's a land of fairy tales and history coming true, whether you visit the Taj Mahal or go see real forts and palaces in Rajasthan. But it is also a country that will humble you. You may see a home that can be mistaken for a palace and right beside it a mud hut with children running around, happily playing. It takes a lot to get used to seeing the dichotomy of the haves and have-nots here, but this is what makes India what it is, and what impacts your soul most. You can stay in a Palace in the middle of a lake -for real. You need an Indian Visa. For Canadians, its not that big a deal, but the process is a bit of a pain. So start the paperwork once you've booked your flight and follow the instructions exactly. This link is a good place to start. Flights: India is far from Toronto. It's not necessarily an easy journey. We opted for a direct flight of 14 hours on Air Canada. We wanted to just get there. No epiphanies here about the journey. In our case it was all about the destination. Cash is king: while credit cards are widely accepted, we used them only in 5 star hotels and restaurants, boutique shops and government emporiums. You can exchange your dollars for Rupees at the airport. Plan and book your itinerary: sounds pretty basic right? India isn't really the kind of place you show up and say - hey lets see where it takes us. I mean you could, but with kids it's not something I'd be confident enough to do. It's a VERY large country, and one that you won't be able to see in one trip. From the mountains, to the farm fields, to the busy bustling metropolis, to the desert, rice fields, beaches, to small villages and religious sites - there is A LOT to see. I came up with our itinerary starting with 3 main regions we wanted to see, and then worked out the logistics about transportation and hotel stays using my travel concierge at American Express. I also contacted a local travel agent in New Delhi to give some suggested itineraries and to book a private tour guide for the Taj Mahal. Transportation: Indian streets can be chaotic. People, buses, cars, rickshaws, cattle just going on their way. But when using a taxi or auto-rickshaw (which is cheaper), use their meters instead of a fixed rate (we learned the hard way). Or pre-negotiate a set fare for a cab that you want to use for the whole day. We found the hotel concierge and bellmen to be helpful with this. Food & Water: bottled water is your safest bet, and easily accessible. Five star hotels all have filtration systems and can provide safe drinking water to take with you on excursions. Food wise: you need to try as much as you can to enjoy the true flavour of India! But stick with cooked food and fruits and veggies that you have to peel, unless they are prepared in 5 star facilities that use a filtration system to wash their produce. Health: visit your doctor before you go and make sure everyone is caught up with their vaccinations. We didn't have to worry about malaria pills (thank god!) when we went in March, but we were fully stocked with bug spray and all of the over the counter medications that we know and use here. While you can get everything in India, the names are all different, so it was easiest for us to bring what we knew. Also consult The Centre for Disease Control and Prevention for up to date information. 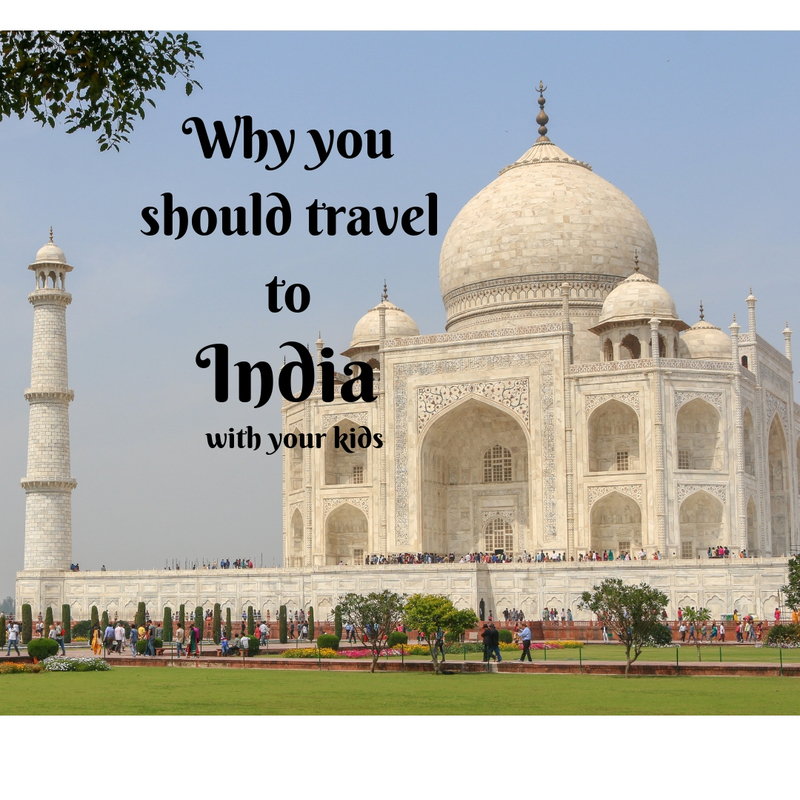 Have you ever travelled to India with your kids? What tips would you share to make it a memorable trip? Parents all wish great things for their children. For them to do better and be better than us. To dream big and to achieve anything their heart desires. Along this journey, we want to show them the world to help foster their curiosity and creativity. However, before we did that we wanted to take them to the place that they were from. As the saying goes: "to know where you are going, you need to know where you have come from." 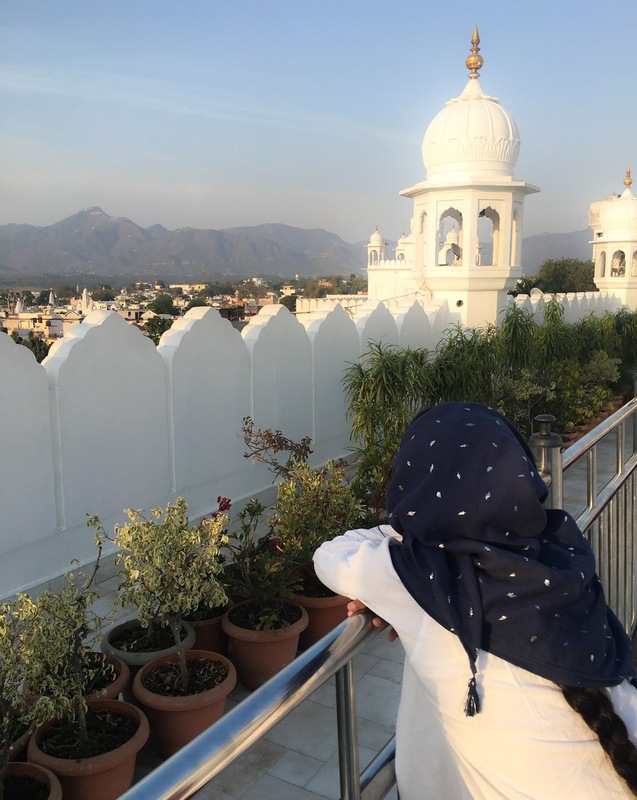 We felt it was finally time (ok, more like I was finally brave enough), to take our kids to Punjab, India. To take them to the homeland of their grandparents, so they could appreciate and see first hand the sacrifices of the lives they left behind to build a new life in Canada. To show them that each opportunity that they now have is directly because of the 4 individuals who left behind their families and homes. 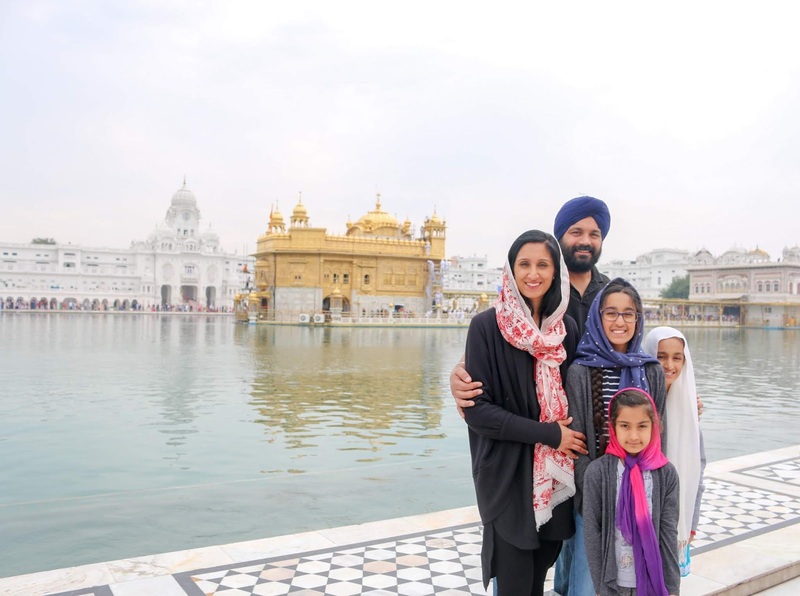 Our family in Harmandir Sahib - the holiest Gurdwara for Sikhs. So, we planned and booked a trip to India - our first BIG trip with the kids. Both my husband and I had been many times growing up, but neither had been since we got married. This was also my first trip to India as a mom - gulp - so I had to "mom" up. Honestly - it felt overwhelming. A country I had been to numerous times felt so utterly foreign to navigate. How was I supposed to take my own children there - keep them healthy and happy and instil a sense of appreciation and gratitude for their roots and family? But somehow, we not only survived this trip, but we even thrived. 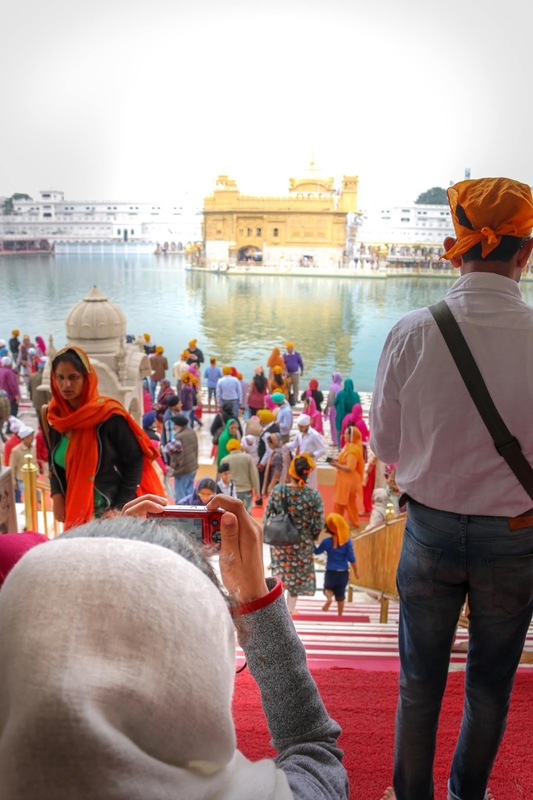 Harmandir Sahib: Also commonly known as the Golden Temple, it is in Amritsar and is the holiest Gurdwara for Sikhs. It has a historical and spiritual importance that we wanted to share first hand with our kids. Every time my husband and I have been (this was our first time together), we have felt an absolute overwhelming feeling of love, peace and belonging. I hope that my children always remember that feeling from their first visit. 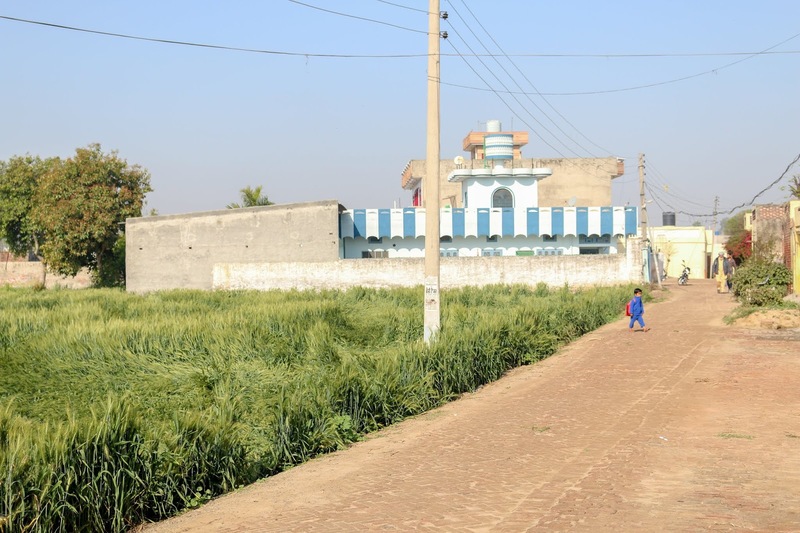 The simplicity of pind (village) life: I hope they remember playing outside, along the fields that their ancestors have cultivated, eating raw sugar canes like their mom used to, tasting the simple farm fresh food shared with their extended family. I hope they remember the crumbling building that was the home my father was born in, and of the stories they heard when my mom went to visit for the first time after she got married. I hope they remember the stories of how my sister and I played through those alleyways and were openly welcomed by kids who didn't understand our unusual clothes and language. Visiting their paternal grandfather's childhood home: as we watched our girls explore this 101 year old house they heard the stories of the summers their dad spent there. They even practiced pumping water from the well and making roti's on an outdoor stove with their grandmother. I hope when they turn off the lights at home they remember that their grandparents grew up in these homes that had no running water and electricity. That they see how far we have come in one generation and that they keep the sacrifices of their grandparents close to their heart. 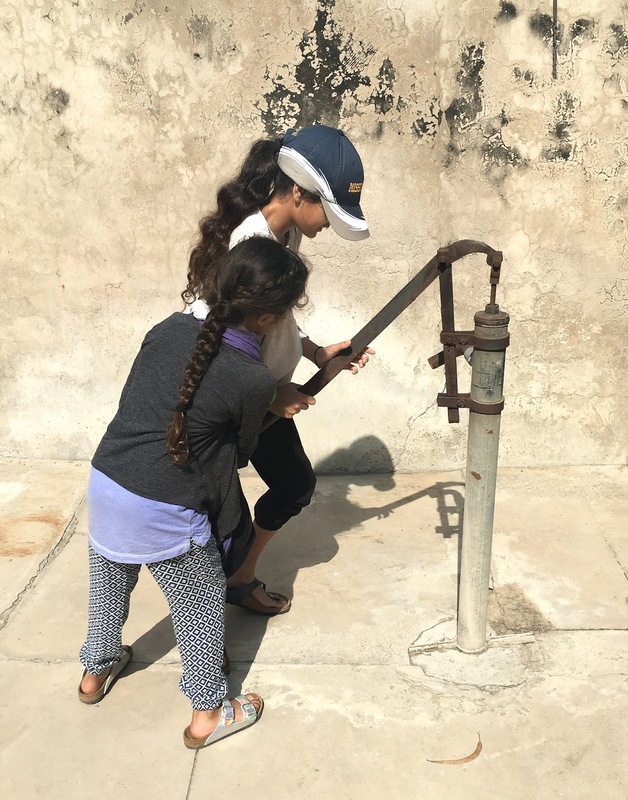 In their grandfather's village, learning how to pump water. Above all, I hope they always remember who they are, no matter where they go. That they are not just the unique individuals we have tried to raise them to be, but also that they are part of a greater story. That their story started in Punjab. Shopping is fun, but shopping while travelling is even more fun! But it can be challenging trying to buy something that is authentic and special to that place. It's easy to buy key chains, postcards and even pick up local art, but sometimes this mama needs to focus on picking up something special for her. Pashmina's are very high on my list (yes, just on every list for everything), but an authentic shawl made from a fine pashmina can be pricey! It is an investment indeed but not specifically included in this list, because it's just a given - buy the best quality pashmina you can. 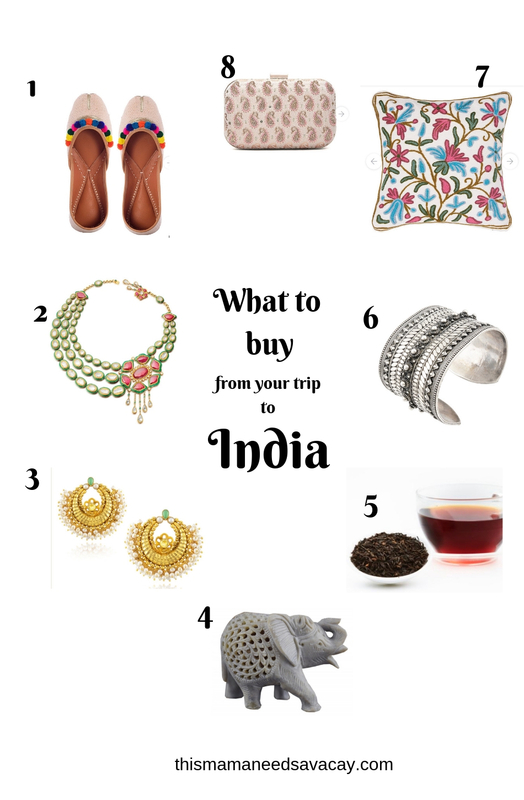 While I personally didn't go crazy shopping during our trip to India (this time), I did come up with a list of just some of the things that I'd buy from India that would remind you of the country's beauty and diversity. 1. The Punjabi Jutti is a handmade leather flat slipper, cute and comfy and comes in many styles. 2. This stunning diamond and ruby necklace may be out of my budget, but if I could afford it, it would remind me of my days as a rani (queen) in Udaipur. 3. One of my favourite pieces of jewelry are Chandbali earrings. These gorgeous ones with cultured fresh water pearls and 18kt gold plated silver can be a little splurge, so I'd wear them with jeans and s white t-shirt every chance I got! Because who doesn't need some bling bling at school drop off? 4. Marble elephants are my thing. Not sure why, but I love having them around my house. 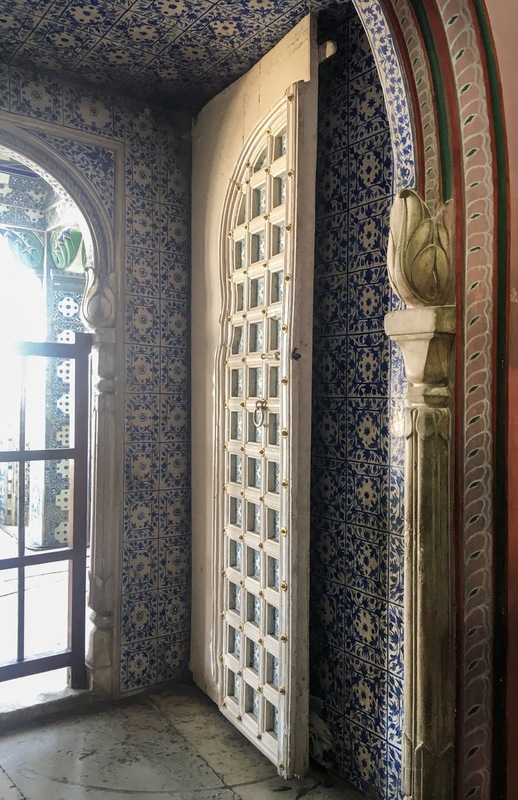 You can get pretty marble inlaid elephants (and trays, and frames and almost anything else)in Agra that would remind you of the beauty of the Taj Mahal. 5. India is the second largest tea producer in the world, so taking home some tea from Darjeeling or Assam makes for a great souvenir. Also makes for affordable gifts to give when you get home. 6. Big chunky silver jewellery is quintessential India. Especially a gorgeous cuff like this from Amrapali which has vibes from Rajasthan. 7. A wool crewel embroidered throw cushion made in Kashmir to brighten up any room. 8. A silk embroidered clutch makes any evening outfit pulled together, and this handcrafted one doesn't break the bank! India also has stunning fabric with endless choices. I picked out a pretty piece and had it stitched into a kimono while I was there. 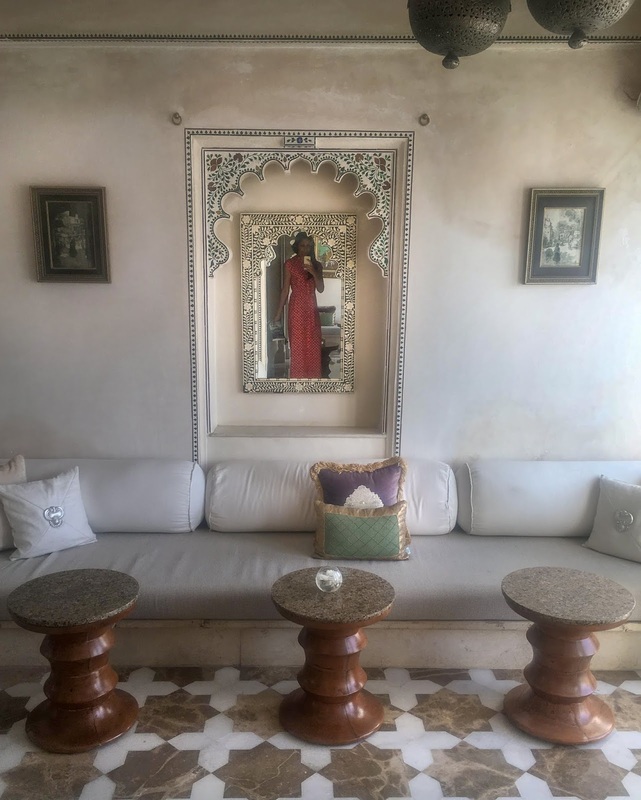 I've linked all of these gorgeous finds to realtors online, so you could even fake a trip to India and just brag about all your great finds and pretend you went, no judgement here! I am a terrible liar. I can't say with any ounce of truth that I am ok with roughing it. I'm not. I have zero interest in camping, in sleeping on the ground in a tent, or even sleeping in anything less than a 4 star hotel. Princess much? Yes I know, and I'm ok with it. But alas what is a princess to do? She truly needs to find her palace. Maybe one that is in the middle of a lake? 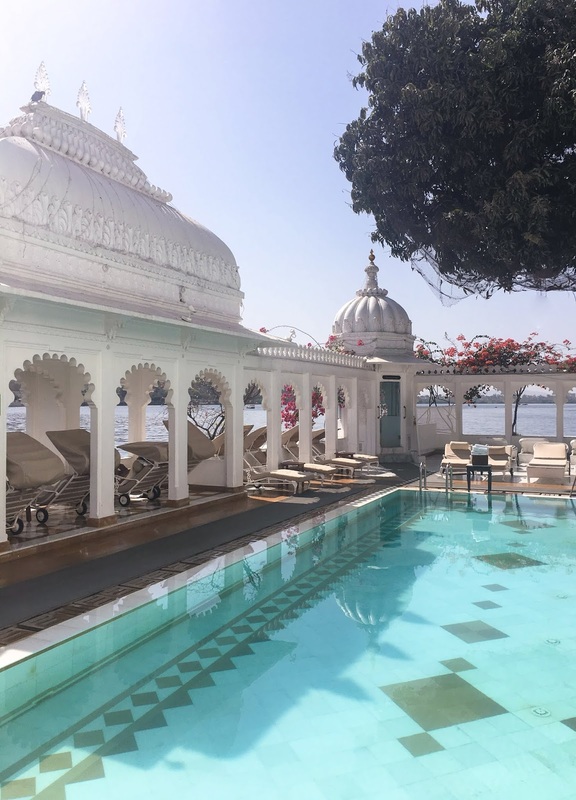 Cue The Taj Lake Palace - also known as the most luxurious place I've stayed. I have officially been spoiled, someone warn my husband (and my banker), that there is no turning back. 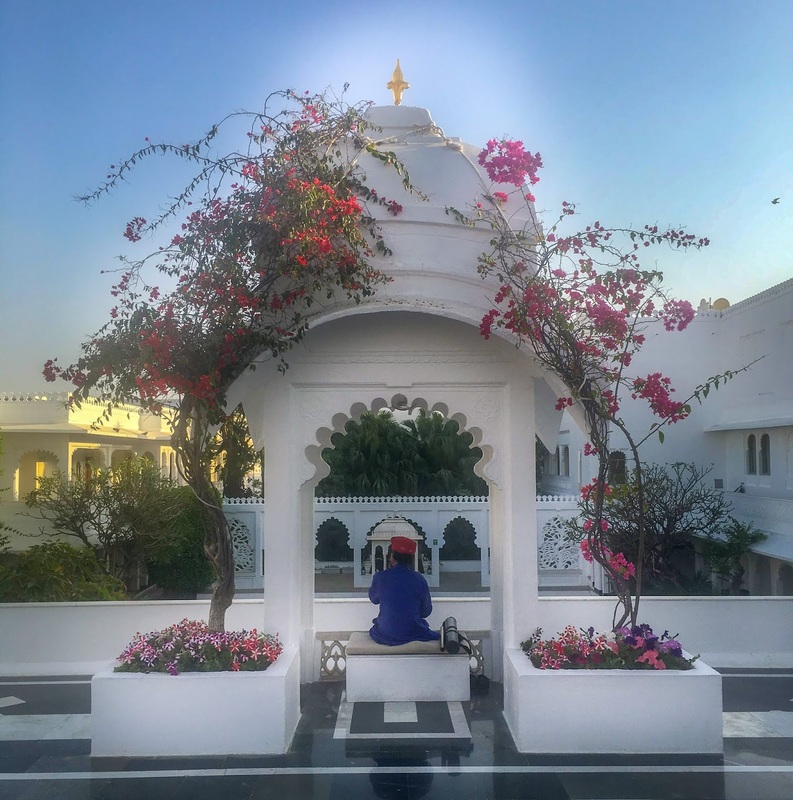 The Taj Lake Palace was the jewel in the crown of our spectacular 3 day stay in Udaipur, Rajasthan. 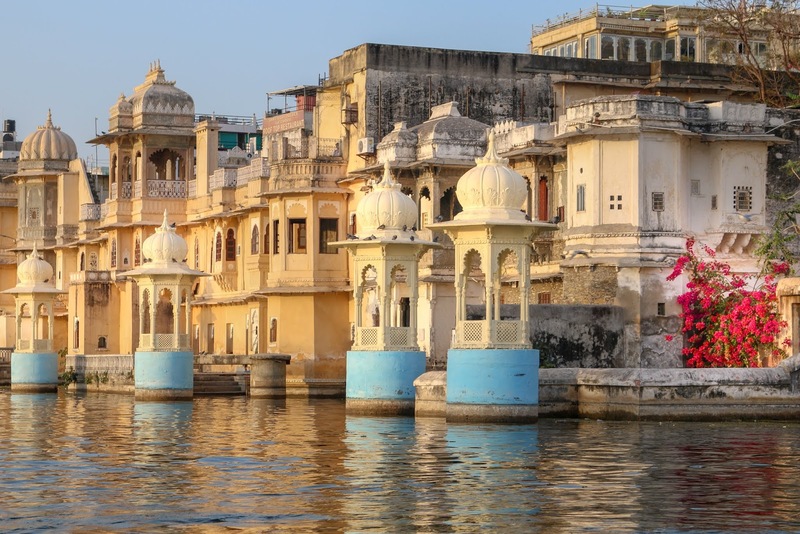 Where: Udaipur, Rajasthan is known as the city of lakes in the western Indian state of Rajasthan. It is popularly known as the "city of lakes". So it is no coincidence that the spectacular Taj Lake Palace sits in the middle of Lake Pichola. 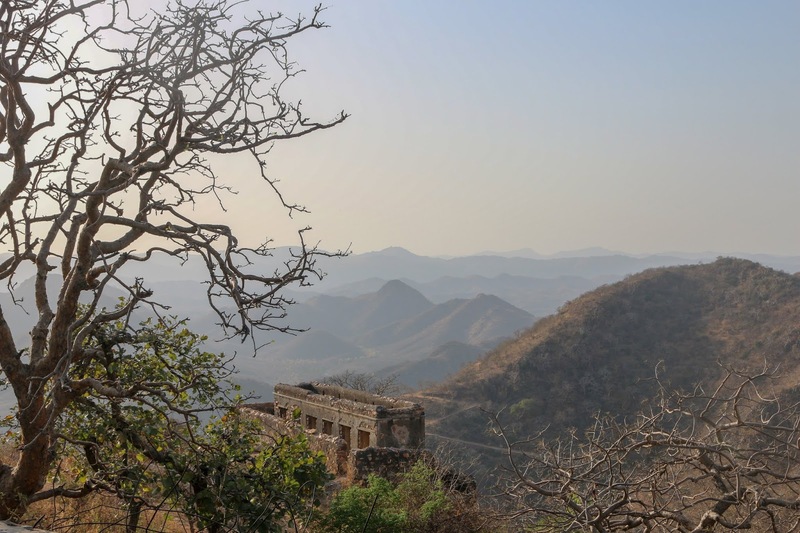 How: Aproximately a 2 hour flight from New Delhi to Udaipur's Maharana Pratap Airport. Then about a 30 minute drive to the centre of Udaipur by Lake Pichola. To get to the Taj Lake Palace, the hotel picks you up in a royal boat to take you over to the palace. 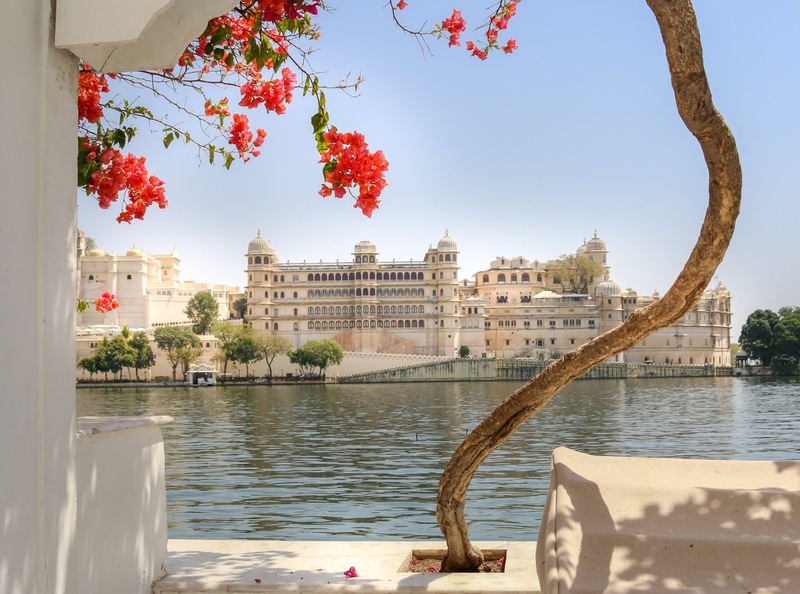 When to go: The best time to visit Udaipur is September to March during their winter season. The weather is still very warm, with no rain. But it is high season. Why Go: Maybe because it is called the most romantic city in India, so it makes for a perfect honeymoon spot. Or maybe because this mama wanted to be spoiled with luxury and cross off a bucket list item? In that case, I had no choice but to take my kids! So romantic eh? 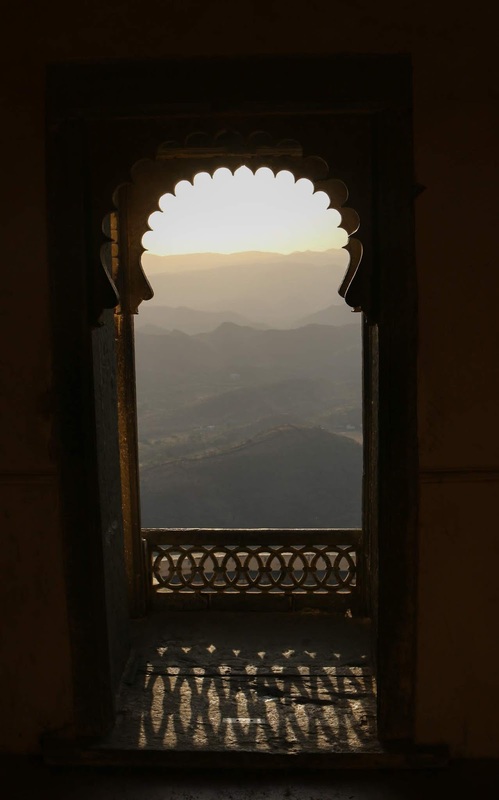 But Udaipur is perfect for kids to discover real life fairytales, princes, princesses and palaces. 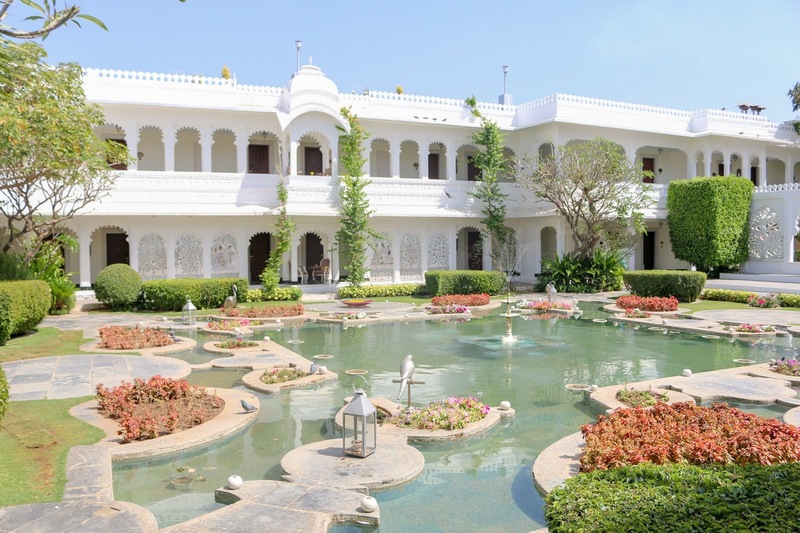 The Taj Lake palace was the summer palace for Maharana Jagat Singh II, where they treated us like royalty. The hotel accomodates families with incredible service. They offer cooking classes for the kids, movies and popcorn to be set up in the evening, a beautiful pool, arrange tours and the chef happily offered to make anything the kids wanted to eat. Because sometimes they just want a cheese pizza. Lake Pichola - take a boat ride around the lake. I recommend a sunset ride for some spectacular views. 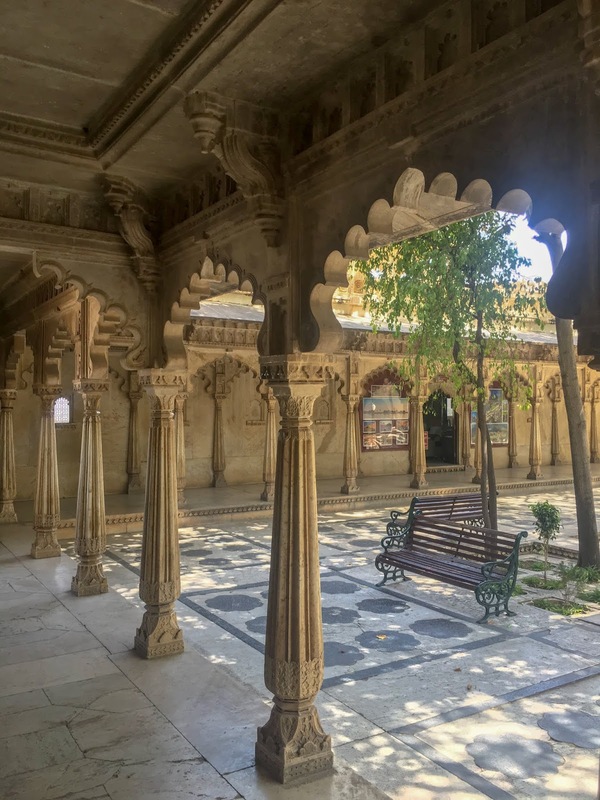 City Palace - a large palace complex sitting on the banks of Lake Pichola, it offers a look inside the life of royalty from centuries ago. Jag Mandir - also situated on Lake Pichola, another complex of palaces that showcase Rajasthani architecture. Plus there's plenty of space for the kiddies to safely run around and explore. 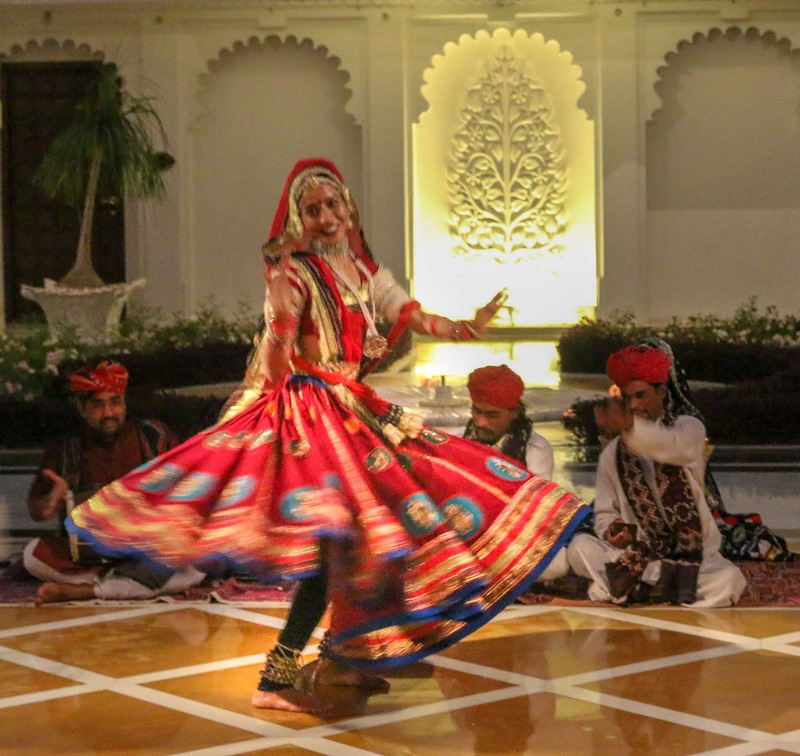 Take in Rajasthani culture: India has so much diversity, and the distinct folk music, dance and food of Rajasthan is colourful in every way. Take in some local performances and indulge your tastebuds in delicious food. Where have you travelled to that was like a real life fairy tale? Hi There! My name is Raj, thanks for checking out This Mama Needs a Vacay, where I'm sharing travel tips, guides and inspiration. © This Mama Needs a Vacay | All rights reserved.